Another drive to add to the bucket list. We are in the process of planning a road trip for the last week in August. 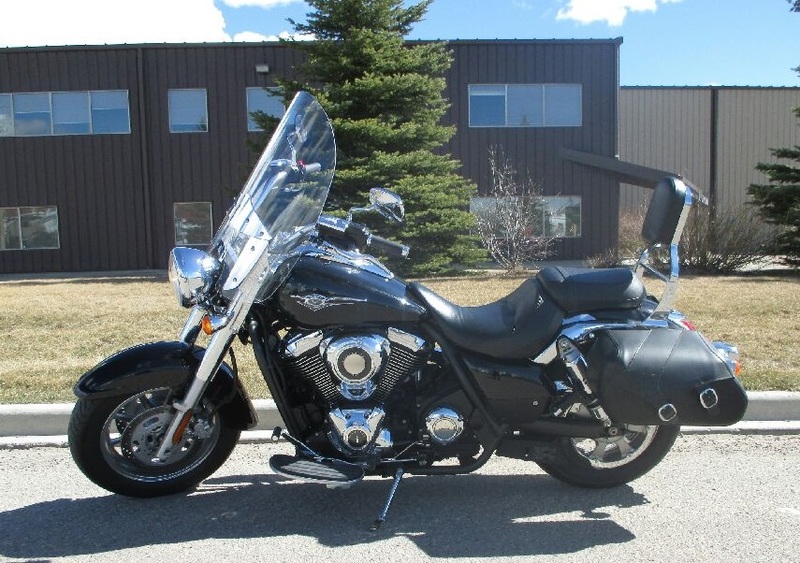 We'll be in the "new" car and are being joined for a portion of the trip by friends on their "new" 2009 Kawasaki Vulcan 1700. They purchased it last fall with only 7800km (4850 miles) on it. We will be meeting up with them in Great Falls MT. From there we'll head to Laurel MT via the Kings Hill Scenic Byway. 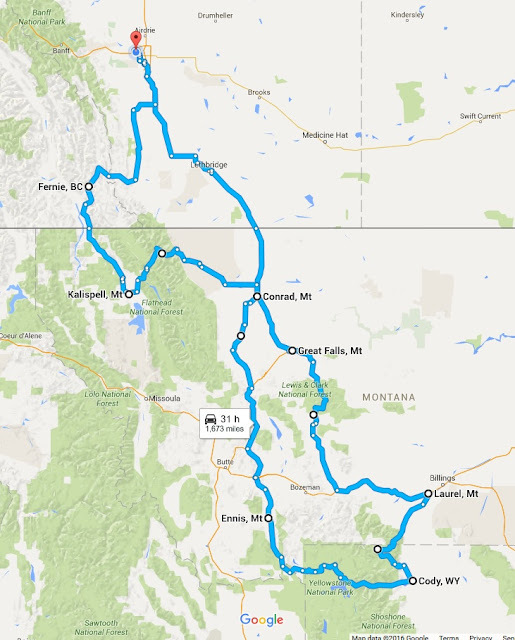 From Laurel we'll head to Cody WY over the Beartooth Highway and Chief Joseph Scenic Byway. From Cody we'll head across Yellowstone to Ennis MT for one night. We are still working on the tail end of the trip but do plan to stop at the Lewis and Clark Caverns State Park. Not sure yet if we are just going to head straight home from Ennis or take another couple of nights and perhaps revisit the Going to the Sun road. If you have any suggestions regarding things to see or do along the way please share them in the comments section! Just a little update... we've decided to head home directly from Ennis MT, with a stop at the Lewis and Clark Caverns, saving the Going to the Sun Road for another day. We will be taking the less travelled routes by avoiding the main highways if we can.